Hello Tokyo - Castles and History, City-Walk Tokyo! Castles and History, City-Walk Tokyo! Japanese history buffs will relish the chance to see this nearly 560-year-old Edo-period castle and former residence of the legendary Ieyasu Tokugawa. Take a spoken tour from the Edo period to today and learn Japan’s history with Mr. Takahashi, an Edo-enthusiast and expert walking tour host! Starting from Otemachi Station, this walking tour runs for about two hours and takes place right in the center of Tokyo’s Chiyoda ward. 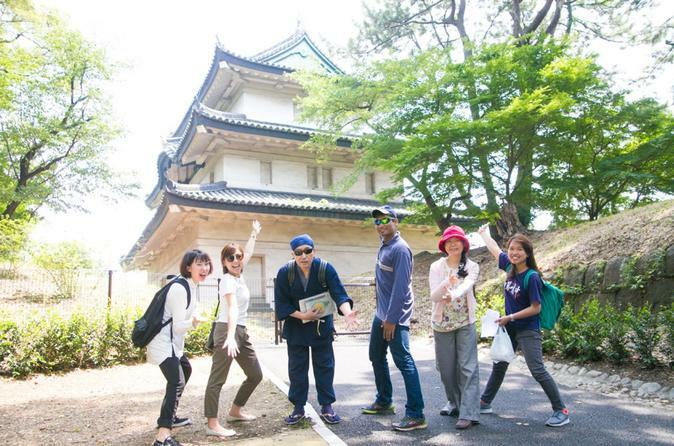 This relaxing stroll will give you a look at the heart of the city and a chance to see some decidedly Japanese scenery while learning about such things as the castle that is now a part of the imperial palace. Marvel at the immaculately preserved traditional architecture just a stone’s throw away from the modern high-rise buildings of the downtown core. You can opt to buy a “bento” (Japanese boxed lunch) from one of the nearby restaurants, and enjoy this affordable meal in the plaza in front of the Kokyogaien National Gardens.